Over in the United States the carrier Sprint have bought a few sets of spectrum and a few customers from US Cellular. 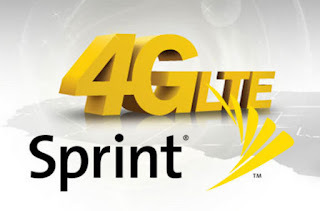 The deal sees Sprint gain 420,00 customers throughout the Midwest and sees them gain 20MHz of spectrum in places such as Chicago, South Bend, Indiana and Champaign, Illinois. BT have announced that there are now more than 5 million wireless hotspots across the UK and Ireland which are up and running and giving people internet access! It's no wonder they have grand plans for the network! Vodafone in the UK have announced the latest in their range own self branded mobiles phones. 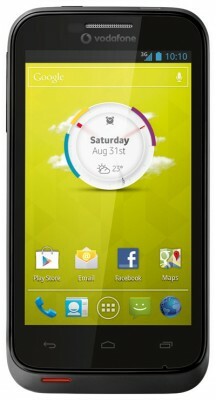 The Vodafone Smart III is another budget handset which this time offers relatively clean Android 4.1 Jelly Bean, a 4-inch WVGA that's 480 x 800p screen, an unnamed 1GHz processor, 512MB of RAM, and there's a nice 5-megapixel rear camera for good measure. This isn't anything revolutionary, but for £95 without a contract you could do worse, it looks solid too as you can to the right! You can get full details here! The website of the Financial Times has been hacked by people claiming to be the "Syrian Electronic Army", an infamous hacking and activist group, supposedly supporting Syrian President Bashar al-Assad. the FT's website has had headlines changed to read "Hacked By Syrian Electronic Army" and tweets have been sent from the FT's Twitter account saying "Do you want to know the reality of the Syrian 'Rebels?'" and a link to a video was offered too. Fitbit have updated their wrist accessory which tracks your activity today to support the Galaxy S4. A lot of people have been complaining about the relatively small amount of devices which the accessory supports but the is another feather in its cap! Kaspersky have teamed up with Qualcomm to offer OEMs a discount if they preinstall their phones with Kaspersky's antivirus solutions for Andorid phones and tablets! This is a great deal for Kaspersky and should see their software on a lot more phones in the future! There have been updates to both Angry Birds Seasons and Pudding Monsters for Android released today. Both updates bring new levels and challenges! And finally, Nvidia have opened up pre-orders of their Shield handheld for everyone who lives in US and Canada! Check out the tweet below if you're looking to pick one of the devices up!